Malta Immigration Agents offering citizenship law advice on the Malta Individual Investor Program. The 1st registered Malta Immigration Agents in the MIIP. 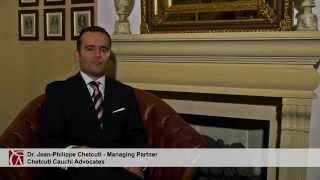 Chetcuti Cauchi Advocates run a specialist Malta Immigration Agency and Malta Immigration Law practice specialising in Maltese Residence & Citizenship law. 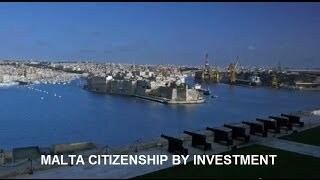 As registered citizenship agents, our Malta immigration agents enjoy a wealth of experience assessing and preparing investors for citizenship by investment and representing them in applications under the Malta Citizenship by Investment program. Chetcuti Cauchi Advocates’ managing partner, Dr Jean-Philippe Chetcuti holds Malta Immigration Agent licence IIP 001 and was the first to be licenced by the Identity Malta Agency to directly file citizenship applications under the Malta Individual Investor Programme (MIIP). . Dr Chetcuti is a Malta Citizenship lawyer advising HNW individuals, business families and their advisors. He has been instrumental in the shaping of the Malta Citizenship by Investment programme as well as Malta's permanent residence programs and tax residence schemes. JP advises on international tax planning, trust & estate planning, citizenship & residency planning, immigration and resident-non-dom regimes. Dr Chetcuti is a member of the Malta Chamber of Advocates and sits on the executive council of the Institute of Financial Services Practitioners, acted as Chairman of the Society of Trust & Estate Practitioners, and is a member of the International Tax Planning Association. He is also a co-founder and secretary of the Malta Association of Family Enterprises (MAFE). Senior Partner Kenneth Camilleri holds Malta Immigration Agent licence IIP 124. He is a chartered accountant and international tax advisor and is responsible for the firm’s Asia immigration and wealth structuring practice, operating across our international offices including Malta, Cyprus, London, Zurich and Hong Kong. Mr Camilleri is a fellow of the Chartered Institute of Accountants, a member of the board of the Offshore Institute and of the Russian-Asian Lawyers Association. 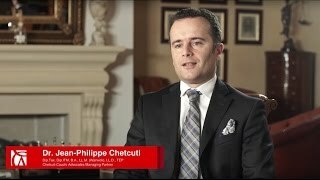 Chetcuti Cauchi Advocates has positioned itself as the trusted advisor to the foreign investor and expatriate community in Malta. As specialised Malta Immigration Agents, the law firm has run a specialised Malta Immigration Law practice for over 15 years and has handled by far the largest number of citizenship and residency applications on the island. The firm's leadership role in the area of Maltese immigration law is due to its specialist approach, building a team of now over 10 lawyers in Malta alone, focussing exclusively in immigration, residency, citizenship and corporate relocation. We specialise in maximising our clients' use of Malta as a safe and strategically located residency base or as a location for the family wealth structuring and business headquarters. Our lawyers can tailor the citizenship application experience and plan expected time frames based on the specific circumstances and nature of each application. In the area of European residency, our Malta immigration agents are licensed to represent clients’ family residency applications. We provide Malta Residency Law advice, and we do so by focusing on your and your family's specific needs, matching your requirements with the appropriate tax and residency programmes available in Malta. At Chetcuti Cauchi we specialise in providing sound immigration law advice and cross-border relocation assistance to private clients and multi-national companies worldwide. Over the years, we have been providing professional assistance to private clients and high net worth individuals seeking to obtain permanent residence permits in Malta for retirement, offshore living, international business travel or tax reasons. With Malta's growing reputation as a quality living destination and a tax-efficient residence solution in the European Union, we have increasingly advised on tax optimisation opportunities of moving to Malta under the appropriate residence scheme. 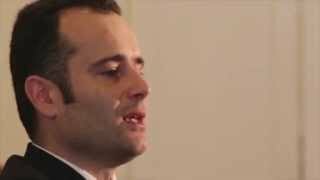 As certified Malta Immigration Agents, Chetcuti Cauchi enjoys a sterling reputation in representing applicants for Malta Residency by Investment, especially the Malta Global Reisdency Programme and the Malta Residence and Visa Programme. Chetcuti Cauchi's award winning Immigration & Relocation Law team is the oldest specialised immigration law practice in Malta. Chetcuti Cauchi enjoys a sterling reputation in the areas of citizenship and residence planning and in the handling of legal and tax matters relevant to the structuring and planning of personal wealth and personal interests and business worldwide. Led by Dr Jean-Philippe Chetcuti and Mr Kenneth Camilleri, our Malta Immigration Agents have successfully represented thousands of individuals and families over the past 15 years, ranging from expatriate retirees, applicants for work permits, to UHNW individuals listed on the Forbes List.